The Qing Ming Festival, also known as the Tomb Sweeping Festival, is very much a family celebration and at the same time a family obligation. This year it falls on April 4th and last weekend thousands flocked to Chinese cemeteries for what is seen as a time to reflect and to honour and give thanks to their ancestors. It is an opportunity for families to reunite and enjoy a meal together. Chinese families normally visit the graves of their recently deceased relatives on the nearest weekend to the actual date but sweeping the grave site is done within the ten days before or after the Qingming Festival. The Qingming Festival normally starts early in the morning by paying respect to distant ancestors from China at home altars then this is followed by visiting the graves of close relatives in the country. Traditionally, the family will burn spirit money and paper replicas of material goods such as cars, homes, phones and paper servants. In Chinese culture, it is believed that people will still need all of those things in the afterlife. There are many paper products available that relatives burn including products such as iPads, smartphones and MP3 players but most families stick to the traditional items like houses, cars, clothes and massage chairs as they feel the new items would be too difficult for their ancestors to use. Hell money is still the favourite so they can buy whatever they need. This is not unlike ancient Egyptian practice of burial for the dead where small replicas of household objects were placed with the dead (unless you were really rich and then you could get the real thing buried with you, including your personal servants!). In little shrines all around Asia, not only incense, but small packets of food are daily offered to the hungry spirits. Firecrackers are set off at regular intervals on almost every occasion, not in celebration, but to scare away the spirits. What may seem like quaint and colourful rituals at first glance, are actually desperate attempts to keep the spirit world – an often needy and malevolent force – out of the present world. It is interesting to see that you would post about the qing ming festival. Being a Malaysian, I have celebrated qing ming ever since I was a child, by going to “clean the tomb” every year with the entire family. However, I would like to contribute to your post a different point of view regarding qing ming. Continuing from the above statement where I mentioned having celebrated qing ming since I was a kid, I would like to state that I have not been celebrating it once I have had a relationship with the Father. I personally believe that qing ming is not a “Chinese” thing, but more of a religious thing that people in China in the past carry out ceremoniously. I tried researching online, but I could not relate the celebration of qing ming to the religion of Chinese people in the past. “Do not marvel at this, because the hour is coming in which all those in the memorial tombs will hear his voice and come out, those who did good things to a resurrection of life, those who practiced vile things to a resurrection of judgment”. 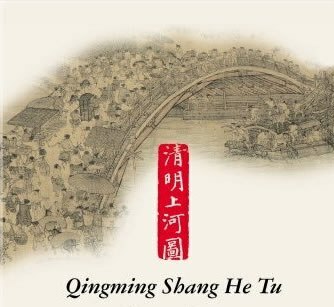 I believe that the celebration of qing ming is exaggerated, although the act of reminiscence towards a loved one who has passed is something that we all as humans need to do. What do you think sir? Edmond, I appreciate your thoughtful comments. Although scripture encourages us to “weep with those that mourn,” we are also cautioned not to “weep as those who have no hope.” It is a great blessing of the Christian faith to have the assurance of our salvaton while we are still here on earth. It is a loving Lord’s plan that we are to be comforted in our grief by the expectation (translated many times as ‘hope’) of eternal life in heaven with Christ who saves us. Such blessed assurance protects us from unnecessary and prolonged grief, guilt and regret, which fuels such prayers for the dead.